Photogrammetry is the practice of extrapolating spatial relationships from photographic imagery. 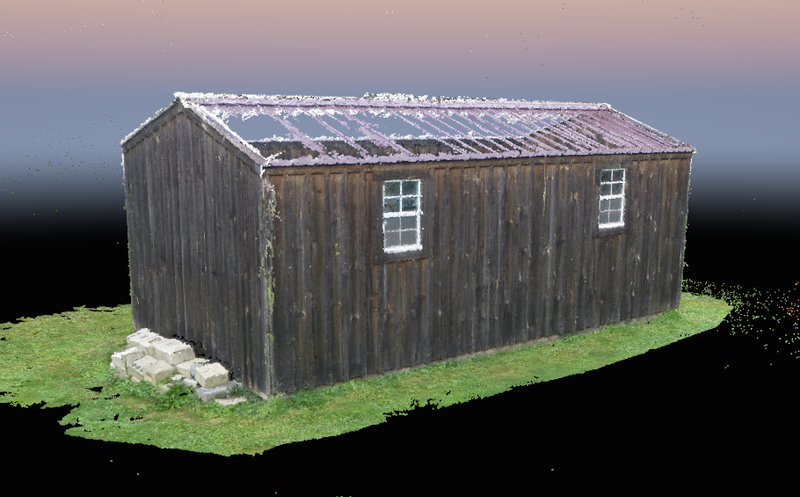 While the concept of photogrammetry is centuries old, today’s powerful software quickly generates a 3-dimensional point cloud of any scene or object captured with a half dozen or up to several hundred overlapping digital photographs. Two recent projects illustrate very different applications for this technology in expanding what Vertical Access can do for clients in hard to reach areas. Work on existing structures begins with accurate as-built documentation. But what if there is no background drawing on file for use in the field? Enter photogrammetry. 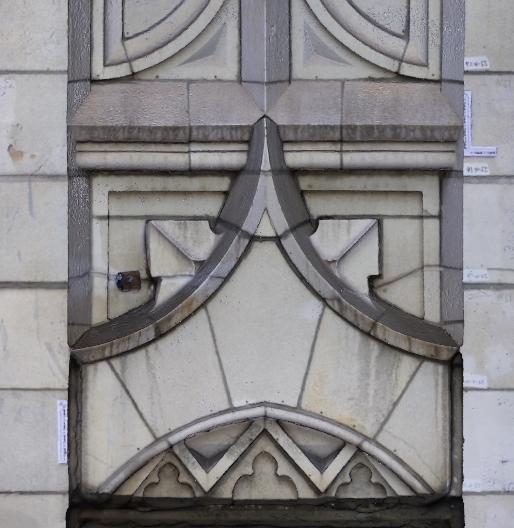 On a recent project, the main façade of a building could not be surveyed with an aerial lift due to site features, leading the project team to investigate the use of an unmanned aerial vehicle (drone) to capture close-range imagery of the façade conditions as well as photographs for use in the creation of scaled, detailed background drawings. Vertical Access’ licensed drone pilots operated a DJI Phantom 2 drone to obtain medium-range imagery for the creation of a photogrammetric 3D point cloud, as well as close-range 4K video for the conditions documentation of the structure. The field work was accomplished by a team of two pilots in less than two days and required only partial closure of the pedestrian walkway to safely conduct the drone flights. 2D elevations generated from the 3D model annotated with fault conditions in AutoCAD. Fault conditions such as cracks, spalls, and displaced masonry units were annotated digitally using the Tablet PC Annotation System (TPAS®). 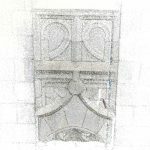 Back in the office, VA used Pix4D Mapper Pro photogrammetry software to generate the point cloud, textured mesh, and 2D orthoimages of the main façade, side wings, and tower returns. 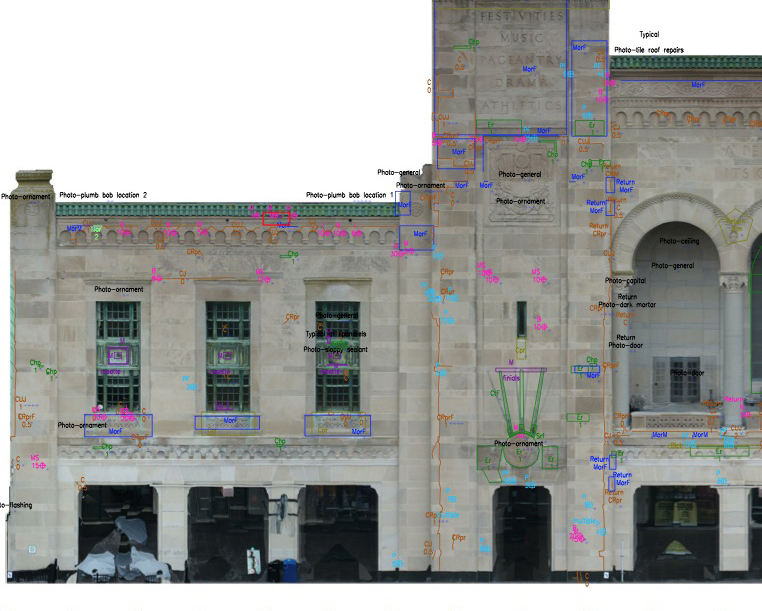 The orthoimages were scaled and placed as background images in an AutoCAD drawing, and fault conditions such as cracks, spalls, and displaced masonry units were annotated digitally using the Tablet PC Annotation System (TPAS®). Condition quantities were extracted from the AutoCAD drawing into an Excel spreadsheet to facilitate repair cost estimates. 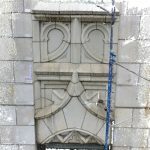 A close-range visual inspection as well as image capture for photogrammetry were completed in much less time than it would have taken to inspect the façades and obtain hand measurements using an aerial lift. The field work was accomplished with minimal disruption to pedestrians. Deliverables from this study include a scaled 3D point cloud and textured mesh, 3D PDF model, background drawings based on orthoimages generated from the photogrammetric point cloud, and 4K video documenting façade conditions at close range, with over 800 video stills hyperlinked to conditions annotations in the AutoCAD elevation drawings. A 3D3D photogrammetric models of an individual terra cotta unit, to be transformed into shop drawings for replacement units. Restoration of historic decorative terra cotta, cast stone, or natural stone often requires extensive replacement of individual units. Erecting scaffolding for hands-on access to measure and remove existing units adds significant cost to project budgets. Vertical Access recently used photogrammetry to aid in a pilot project as an alternative option for acquiring dimensions of existing units. Vertical Access photographed a terra cotta spandrel panel and parapet, using existing scaffolding to gain hands-on and close-range access. The photographs were used to create 3D photogrammetric models of individual units, to be transformed into shop drawings for replacement units. With VA’s demonstrated rope access capability, units can be photographed and modeled without the need for scaffolding, yielding a cost savings for the building owner. Dozens of software options are available for stitching photographs into scaleable, 2D mosaics or 3D models. We’ve been experimenting with a few different platforms for generating 3D models using footage captured by our DJI Phantom UAV (drone) or by technicians on the ground. 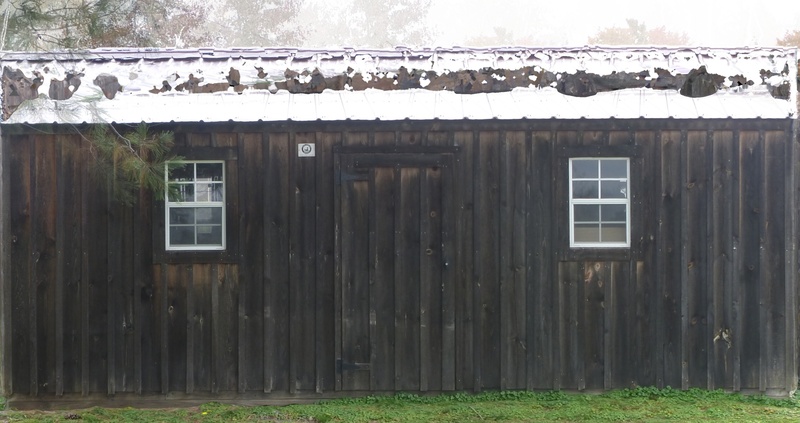 In the example below, the photogrammetry software could not accurately render the metal roof of our shed because the photos used to create the model were taken by a person on the ground. Achieving a higher angle of view, for example, by using a UAV, the software would have created a more complete model. This 3D model was built using only 51 images. Some programs can output a 2D elevation or plan extracted from the 3D model, which can be used to create scale drawings with centimeter accuracy. These outputs can be used as background drawings for a hands-on survey using TPAS, or to take measurements of inaccessible features such as antennas or finials.